We are now well into the New Year and with Valentines Day upon us, there is bound to be love in the air! Since many of us are thinking about love & romance, I thought I'd write about some of the most romantic places to visit around Lake Garda! There are many romantic places to visit there. The wonderful charm and atmosphere, not to mention the amazing scenery, is sure to impress you and your partner! There is something very romantic about being by a beautiful stretch of water and when it's as lovely as Lake Garda, you can see why loads of people not only go for a holiday, but choose to get engaged, married and have their honeymoon there! Garda is a lovely place and somewhere we always go back to. The large bay and great beaches are fantastic for lounging on and going for a dip in the lake. There are loads of lakeside dining opportunities here and being on the east side means you get to watch some wonderful sunsets over the lake. The little narrow streets leading off from the lake are full of charming shops and have many great gift ideas. I'm sure some Italian clothes, lovely Italian leather shoes or a handbag would never go amiss! 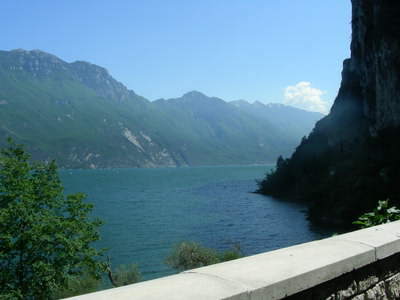 Salo is a lovely looking town with a majestic lakeside promenade which is great for a romantic walk. The whole lake front here is very picturesque and there are loads of places to have a seat and gaze across the water. Being located in a large but quite narrow bay gives it a kind of cosy feeling and it seems very relaxing here because it's more cut off from the lake than most of the larger towns. When you access this wonderful fairy-tale like town by an ancient drawbridge to the castle and straight away you know you are somewhere special. 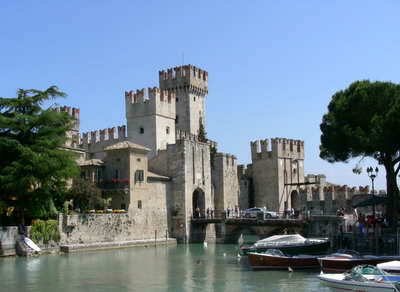 It's awesome location on this narrow peninsula only makes Sirmione an even more unique town! 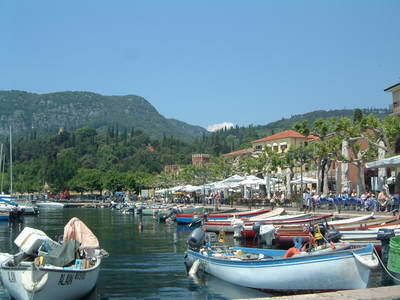 It's old and narrow streets are packed with lovely shops and places to eat and you are never very far from the Lake. This place has got a lot of atmosphere and wow factor, surely one of the top Lake Garda romantic places! This is a great spot and another favourite place to visit. The town has so much to offer from it's lovely harbour, great views and a really good selection of shops. You can also take the cable car up Monte Baldo and enjoy the awe inspiring view from 6000 ft up, very romantic. You could also get a private chartered yatch from here or simply wander around the beautiful streets. 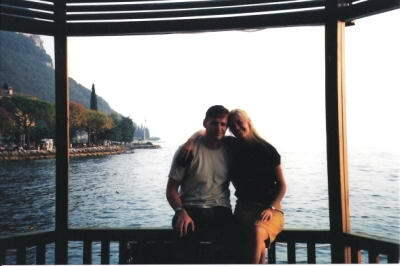 Another highly recommended Lake Garda romantic place to visit! The view from the top of the lake on a clear day is a truly a sight to behold! Imagine waking up and drawing back the curtains to be presented with the blue waters of the lake being held in check between the dramatic mountains! While some of the town is a little more commercial, if you stay by somewhere right by the lake I am sure you will really enjoy Riva - there are plenty of little shops and restaurants to explore in this area. 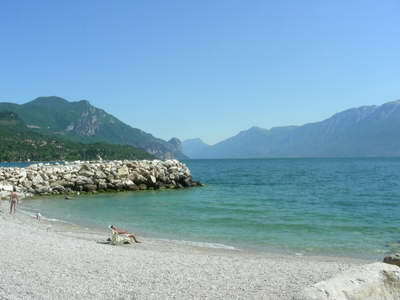 The harbour and lakeside walks with the mountains reaching up behind you provide a certain drama and are sure to impress, and the lake water at Riva is beautifully crystal-clear too! This is a charming town in a wonderful location. As you approach Limone by boat the mountains behind are so vertical you start to wonder if there is a town there at all! There are some lovely winding back streets which are great for browsing the local shops. There are usually loads of flowers all around the town which just makes it even more attractive and you can enjoy plenty of lovely lakeside meals. To be honest the whole lake is very romantic and has many special places. 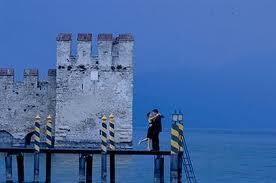 Why not explore Lake Garda romantic places yourself and decide which is your favourite! Don't forget to add your stories and comments to our website! Simply go to the forum page which has all the main categories listed (which you can add stories or comments to). We've even added a category for all other stories which don't fit into the main ones listed. So go on, tell everyone about that mouth watering restaurant, amazing shop, adrenalin filled sporting activity, fantastic hotel, your favourite town, and so much more! We can't wait to hear all your stories! Thanks in advance for getting involved in our Lake Garda community. Take a look here at our new Forums Pages. Here are the main events going on in the Lake Garda area over this month and next month. There are also loads of smaller things happening in each town everyday, from art exhibitions to sporting events. Please contact us if you want to know what's going on in any particular town and we'll do our best to help you. Verona in Love - 111.02.2012 - 14.02.2012. 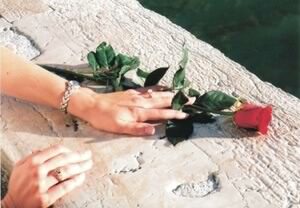 This is festival in Verona is dedicated to romantic love. It takes place in the most romantic city in the world. Concerts, exhibitions of art and little markets in the historical center of Verona attract every year people from all over the world around the date of Valentines day. Vinitaly - 25.03.2012 - 28.03.2012 at Verona. This is the most important wine fair in Italy! This year, about 150,000 visitors are expected to get to know, taste and judge the top wines of more than 4000 international exhibitors. The fair takes place at the fair of Verona. And there are, of course, all the usual markets that are definitely worth going to. To find out more about when and where they are, click here. In every newsletter Issue we research and then feature a hotel or apartment at Lake Garda to give you an idea of the accommodation there. We always make sure the hotel has a guest rating of 8 or more (out of 10), so you know it's a decent place to stay! Grand Hotel Terme is a luxury hotel located in Sirmione. There are many great attractions nearby, including Castello Scaligero, Grotto of Catullus, Santa Maria Maggiore and Church of San Pietro. Other attractions in the area include Gardaland and Villa Romana. This 5.0-star Sirmione hotel has 2 restaurants serving breakfast, lunch and dinner so there's no need to worry about dining options on this trip. While visiting Sirmione on vacation or for work, make sure to take some time to relax as you will find a full-service spa, massage/treatment rooms, a spa tub, a fitness facility and a sauna, ensuring a restful and rejuvenating stay. We hope that this time of year has inspired you to start planning your holiday to Lake Garda with that special person in your life. You will definitely feel romance all around you at that wonderful place!